MXP-SOF-MXP. Outbound flight with BAe 146 not very new but still ok. Compared to other aircraft's of the same model the legroom was very good and the seats more comfortable. Crew not very talkative but professional. On the way back brand new EMB-190: very nice plane but with smaller legroom compared to LOT and Air Dolomiti that use the same aircraft. Much friendlier crew. The food was correct and consisted of a sandwich and a small bar of chocolate which is ok for a 2 hrs flight. Upon boarding offered a bottle of water. On both ways smooth boarding. In general it was relaxing travel and the price was acceptable 200 EUR with a late booking. ZRH-SOF with a brand new Embraer E190. Quick boarding and flight was on time. Cabin crew was friendly. Served light lunch consisting of a sandwich drinks and complimentary chocolate. Smooth flight and landing in Sofia. Ultimately worth the 250 CHF ticket price recommended airline. Legroom in economy on the (almost new) Airbus 319 is terrible unless you are really short - I didn't think they made planes with such a tight configuration any more. FA are completely hit and miss. Wine "service" is non-existent. Pretty dreadful really. Two return flights on Brussels-Sofia route. One on a clean A319 the other Embraer 190. Staff friendly and helpful good selection of drinks onboard. Sandwiches were not bad at all. If tall try to get an aisle seat next to the emergency exit in the middle of the plane. As another review mentioned online check-in is limited only to flights taking off from Sofia which is a lack in these times. All in all not a bad service and I'll fly again. Overall satisfied - very friendly and professional crew good onboard service. The only thing which can be pointed out as negative are the old British Aerospace plains which operate the internal flights - small and crowded. Recently have spotted the new Embraer 190 jets I am sure this will improve the overall quality of their fleet. BOJ-SOF-TXL-SOF-BOJ. Flights on time good staff not very good food but nice wine. Good value. All 4 flights were with BAE 146-200/300. SOF-FRA-SOF. 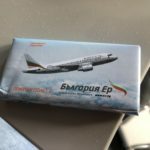 I Flew Bulgaria Air many times before but this was one of the best flights. The cabin crew was friendly and helpful. I heard they are waiting for 11 new embraer 190 to upgrade their fleet. Looking forward to fly with them again. Sofia-London Heathrow on A320. Accept no recline on last row (29) in economy but seats among the most uncomfortable I have been allocated as lumbar support was too firm and you felt it was pushing you out of the front of the seat. Cabin crew non-existent once snack service complete-remained at the back of the aircraft with the curtain closed for remainder of trip until 30/40 mins before landing. Made a 3 hour+ flight seem longer but at the end of the day it got us home. Just completed my 4th flight between Sofia and Frankfurt over a 6 month period. How pleasant it is to be sitting in a real business class seat 2 x 2 with room to spread and not having my notebook screen crushed by the seat in front with drinks before takeoff and charming crew. All flights without exception have been right on time operated with new A319s. I only wish they'd operate the route more frequently so I could use them both ways. This airline uses the oldest planes I have ever flown. 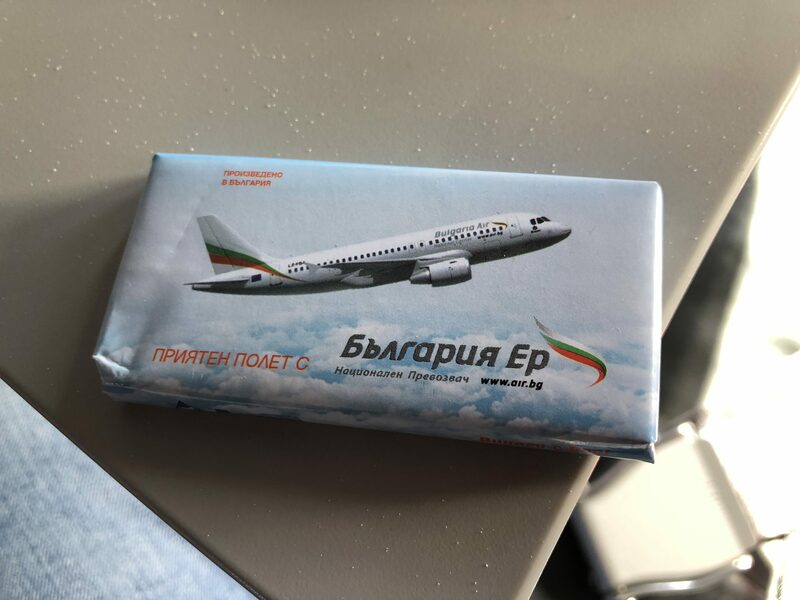 I use Bulgaria Air very often as I fly for business to Sofia from Athens and I have been disappointed several times. The cabin crew is ok but their cabins smell horrible. When there are less than 50 passengers for the route which is very often they bring in propeller aircraft's ATR-42 which almost double the time of the journey and offer much less cabin comfort. They change the departure time sometimes without any notification and as it may be up to 2 hours there is no refund of the paid money. For the quality of the meal and the seats I would absolutely agree with previous comments that it is unacceptable when the price paid is equal to this of Alitalia Lufthansa Air France etc.